The holiday season is always a joyful and giving time for us here at Crowley Webb. But this year was extra special. On a snowy day in December, we strolled up Main Street in a tuneful effort to spread some cheer to our neighbors. Festively attired Crowley Webbers, including our CEO decked out as a tree, visited and surprised folks with our own renditions of beloved Christmas carols and reminded ourselves of the true meaning of this season. Have a look and a smile. 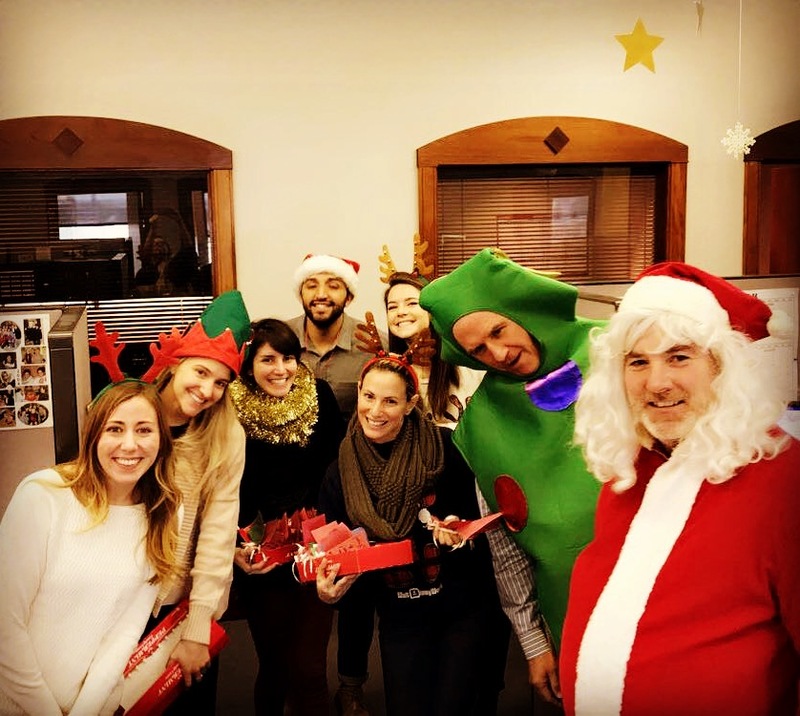 While it’s too soon to say whether caroling will be a yearly tradition, back at 268 Main, there was cheer spreading from cube to cube, office to office, as our social committee continued a tradition everyone looks forward to – Crowley grams. Part intraoffice correspondence, part fundraiser, grams are an opportunity to send each other little jokes and notes of admiration that are hand-delivered with something sweet for the small price of $1. This year, the money raised from the grams, along with a generous company match, benefited Buffalo Collegiate – a tuition-free charter school opening in August 2018. And once again this year, we continued a decades-long tradition of adorning our agency Christmas tree with something more necessary than ornaments – gloves and scarves for Salvation Army’s Gift of Warmth. Thanks to all of my fellow Crowley Webbers for their support and admiration for these initiatives. To say we’re in the spirit would likely be an understatement for most of us. A very merry Christmas, from all of us at CW to you!